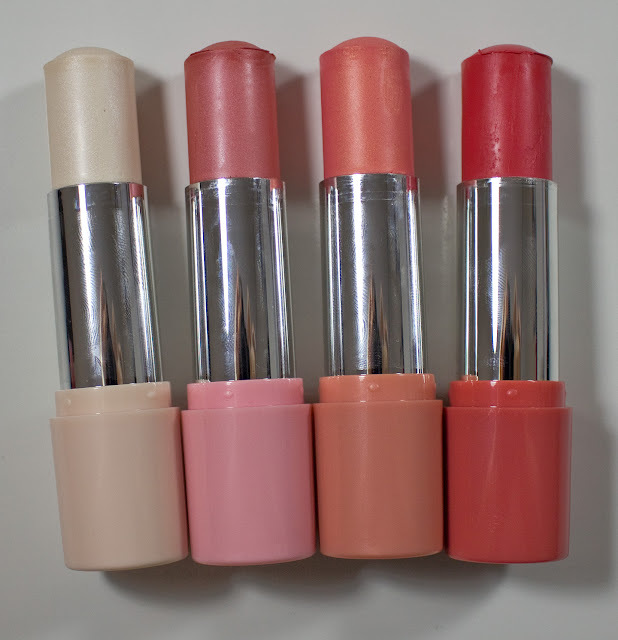 Joe Fresh Highlighter Stick in Pure Glow with Blush Stick in Radiant Rosette, Peach Dream, & Rose. 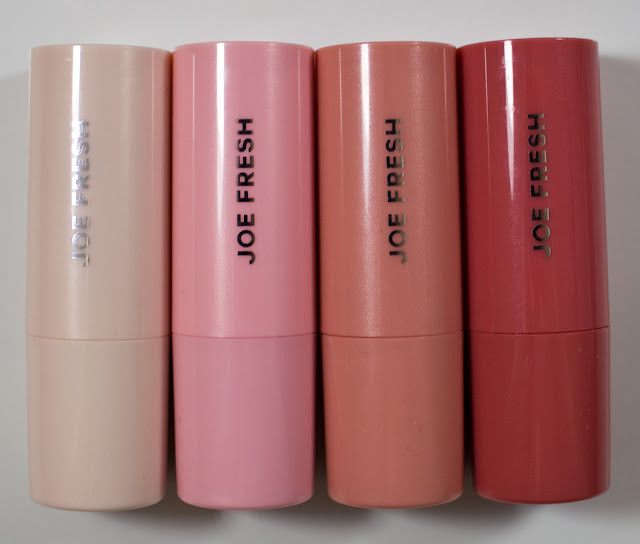 These Joe Fresh Highlighter Stick and Blush Sticks retail for $8CAN for 10g / 0.35oz of product. Joe Fresh Highlighter Stick in Pure Glow ingredients. 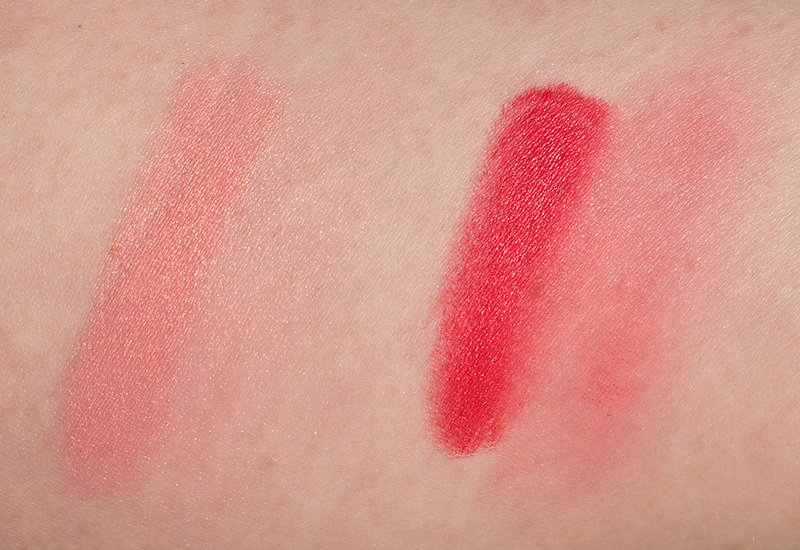 Joe Fresh Blush Stick ingredients is the same for all the blushes. 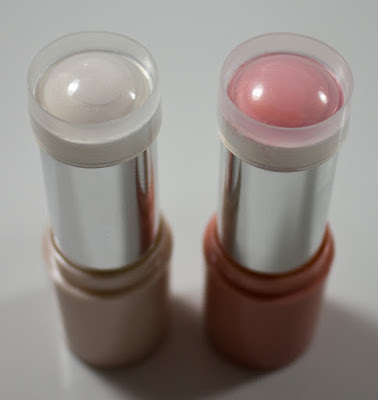 Joe Fresh Highlighter Stick in Pure Glow with Blush Stick in Peach Dream. 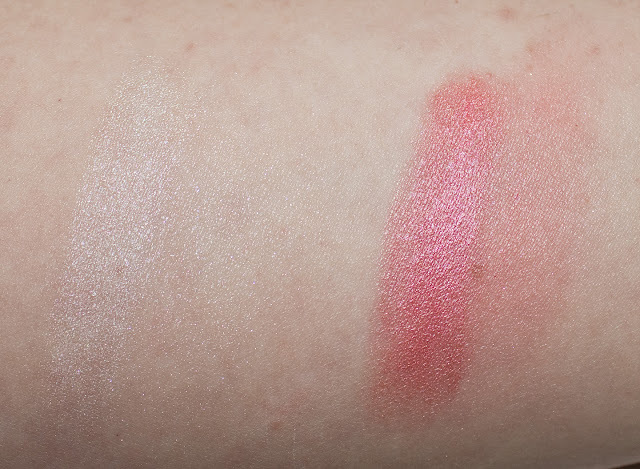 The formula is the same for both the shimmer and cream finishes blushes. 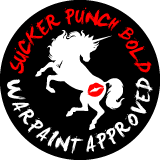 The texture is smooth and creamy to apply but sets and dries down after you work it in. Pure Glow is a true white with a shimmer finish. 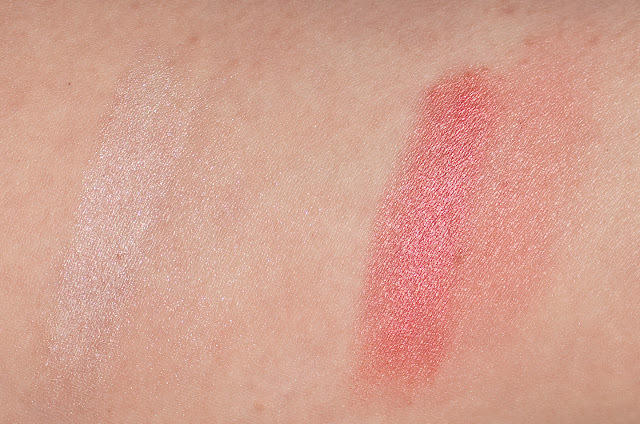 Radiant Rosette is a deep rose pink with a shimmer finish. Peach Dream is a pink cream with a gold shimmer finish. Rose is a vibrant red with a cream finish. Packaging: Simple stick blush with a twist up bottom in a metal tube. Daylight swatches: Pure Glow and Radiant Rosette, Heavy and buffed out. 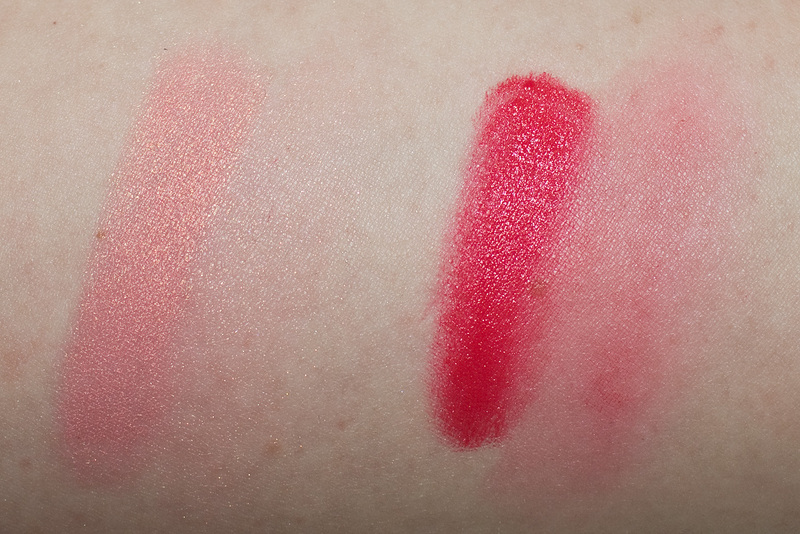 Flash swatches: Pure Glow and Radiant Rosette, Heavy and buffed out. Daylight swatches: Peach Dream and Rose, Heavy and buffed out. Flash swatches: Peach Dream and Rose, Heavy and buffed out.